There are currently 35,431 users on this website. 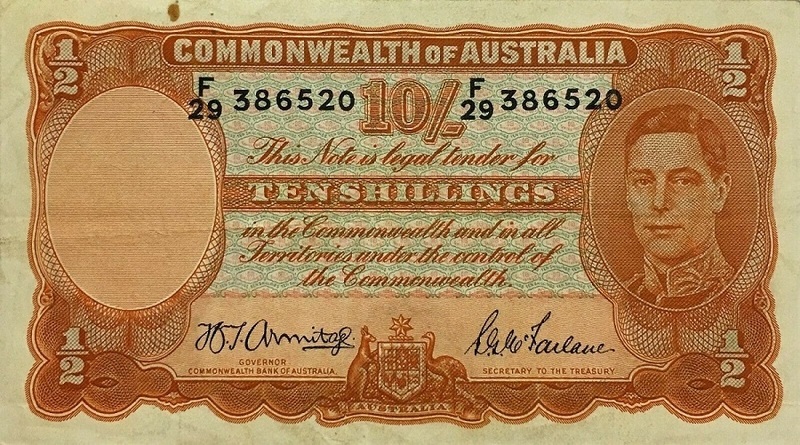 1942 Australia 10 Shillings Banknote, Armitage/McFarlane, Pick 25b for gradng & value. 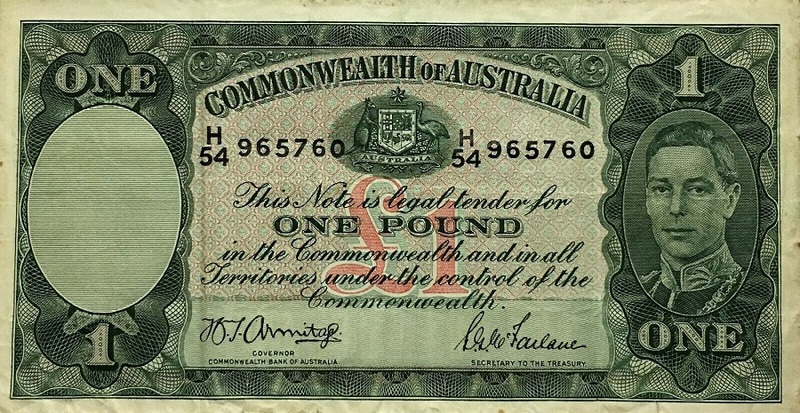 1942 Australia 1 One Pound Banknote, Armitage/McFarlane, Pick 26b for grading & value. Please ladies and gentlemen any assistance is appreciated. 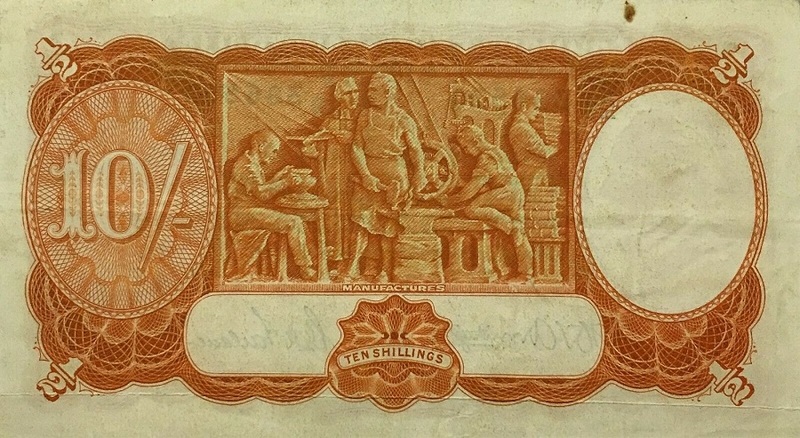 Much harder to grade to grade banknotes than coins, from flat on screen pictures alone. You need to hold the note at a variety of oblique angles of incident light, to be able to find all of the scuffs and minor folds etc., as well as the overall sheen of the inked surface. 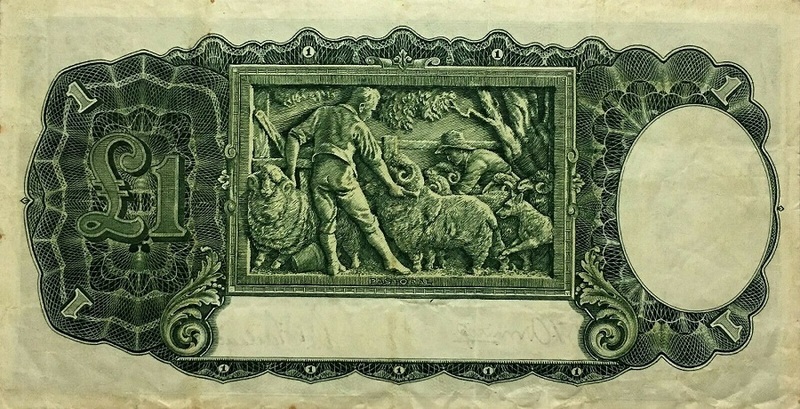 Same examination technique applies to the condition of the under lying paper substrate, as well as the sharpness of the edge of the paper. The overall crispness of the note is a matter of feel, not visual examination. Can't do that by observing a picture on the screen. Overall, it looks to be a reasonably good grade, (above average), anyway. Yeah hard to say from the images but there's no smudging of the designs so they're probably haven't seen a whole lot of use.